Do not take Generic for Glucotrol 2.5mg (Glipizide 2.5mg) if you are allergic to glipizide, or if you are in a state of diabetic ketoacidosis. Call your doctor for treatment with insulin. 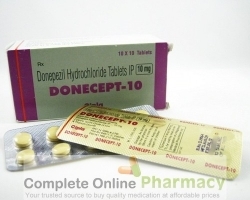 Before taking Generic for Glucotrol 2.5mg (Glipizide 2.5mg), tell your doctor if you have kidney or liver disease, chronic diarrhea or a blockage in your intestines, glucose-6-phosphate dehydrogenase deficiency (G6PD), a disorder of your pituitary or adrenal glands, a history of heart disease, or if you are malnourished. Also watch for signs of blood sugar that is too high (hyperglycemia). These symptoms include increased thirst, increased urination, hunger, dry mouth, fruity breath odor, drowsiness, dry skin, blurred vision, and weight loss. Your blood sugar will need to be checked often, and you may need to adjust your Generic for Glucotrol 2.5mg (Glipizide 2.5mg) dose. Generic for Glucotrol 2.5mg (Glipizide 2.5mg) is only part of a complete program of treatment that may also include diet, exercise, weight control, and testing your blood sugar. Follow your diet, medication, and exercise routines very closely. Changing any of these factors can affect your blood sugar levels. 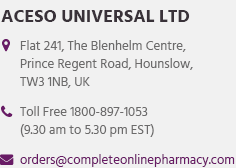 Take Generic for Glucotrol 2.5mg (Glipizide 2.5mg) exactly as prescribed by your doctor. Do not take in larger or smaller amounts or for longer than recommended. Follow the directions on your prescription label. Your doctor may occasionally change your dose to make sure you get the best results. Take Generic for Glucotrol 2.5mg (Glipizide 2.5mg) 30 minutes before a meal. If you take Generic for Glucotrol 2.5mg (Glipizide 2.5mg) once daily, take it 30 minutes before breakfast. Generic for Glucotrol 2.5mg (Glipizide 2.5mg) XL should be taken with breakfast. 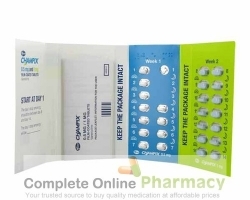 Generic for Glucotrol 2.5mg (Glipizide 2.5mg) XL tablets are made with a shell that is not absorbed or melted in the body. Part of the tablet shell may appear in your stool. This is a normal side effect and will not make the medication less effective. Your blood sugar will need to be checked often, and you may need other blood tests at your doctor`s office. Visit your doctor regularly. Your doctor may want you to stop taking Generic for Glucotrol 2.5mg (Glipizide 2.5mg) for a short time if you become ill, have a fever or infection, or if you have surgery or a medical emergency. Ask your doctor how to adjust your Generic for Glucotrol 2.5mg (Glipizide 2.5mg) dose if needed. Do not change your medication dose or schedule without your doctor`s advice. Store Generic for Glucotrol 2.5mg (Glipizide 2.5mg) at room temperature away from moisture, heat, and light.